Описание Captain Jack is a three level pre-primary course, designed to teach English to 3-6 year olds in Spain. The course follows a story-based approach with a variety of age-appropriate activities. Worksheet activities are designed to develop children s motor skills and their cognitive skills with more challenging activities, such as matching, circling and sequencing. Early maths and early literacy skills are also worked on, which helps develop children s linguistic competences. The materials address the whole child and tie in closely with the new educational law in Spain. The syllabus covers vocabulary topics that relate to young learners immediate environment, and the stories take place within surroundings familiar to children. The syllabus also covers areas of CLIL (Content Language Integrated Learning) to make children more aware of the world around them. The inclusion of photos in the material help to serve this purpose as well. There is also a light introduction to phonics. 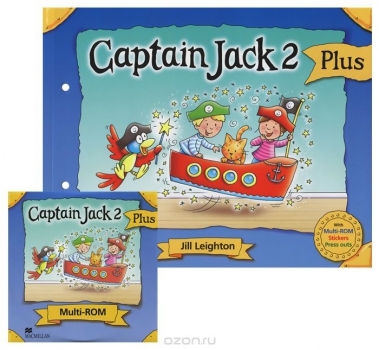 Captain Jack is designed for the same market as previous Macmillan Infantil courses for Spain i.e. Robby Rabbit, Patch and Cheeky Monkey. The main difference with this course from previous courses is the new PLUS book which includes two additional units for schools with more hours.